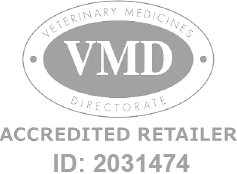 This is a POM-V Product (Prescription Only Medication-Veterinary). We require a valid written veterinary prescription prior to dispatch. Benazecare 20mg Flavour Tablets are indicated for the treatment of congestive heart failure in dogs. Benazecare Flavour Tablets - 20mg is a Prescription Only Veterinary Medicine and by law requires a prescription from your vet. Benazecare 20mg Flavour Tablets are indicated for the treatment of congestive heart failure in dogs. Continued use of Benazecare leads to significant extensions of the life span of dogs and reduced symptoms, such as coughing. When given as directed by your vet, the active ingredient lowers the blood pressure in dogs. Benzaecare 20mg Flavour Tablets are manufactured by Animal Care and developed specifically for dogs. As such, they must never be used in other animals.